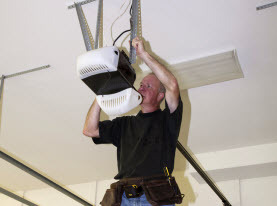 Your garage door is comprised of several moving parts that work together to lift and lower your garage door. When you are working with several metal parts moving and working together, it is important that they are properly maintained to extend their life. At Vegas Valley Garage Door Repair, we offer garage door maintenance to keep your garage door working seamlessly without unwanted repairs. 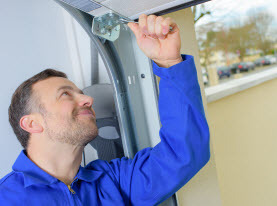 A Garage Door that Clunks or Makes Popping or Other Noises: One of the first signs that you may need a garage door tune-up is when it starts making a lot of noise going up or down. This problem won’t go away by itself. It is an indication that something is out of alignment or that a part may be on the verge of breaking. Garage Door Not Closing All the Way: If your garage door doesn’t close all the way, it could pose a serious risk to the health and safety of your family. Garage door maintenance also helps prevent opportunistic burglars and criminals as well as unwanted pests from entering your home. 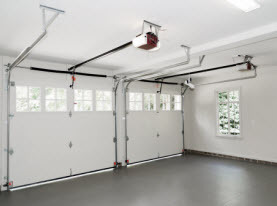 Broken Garage Door: Overworked components and neglected parts will eventually wear out. Most often, this results in a garage door that is either stuck close or stuck open; neither of which is desirable. Rather than waiting until your garage door is no longer operation, maintain your garage door with the helpful services of Vegas Valley Garage Door Repair and save on expensive repair and replacement costs! 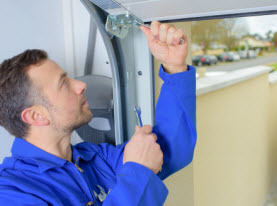 Don’t let your garage door fail you because you didn’t have it properly maintained by the garage door experts at Vegas Valley Garage Door Repair. Call us today to schedule your annual garage door maintenance.